Condition Monitoring (CbM) - a maintenance process where the condition of equipment with regard to overheating and vibration is monitored for early signs of impending failure. Equipment can be monitored using sophisticated instrumentation such as vibration analysis equipment or the human senses. Where instrumentation is used actual limits can be imposed to trigger maintenance activity. Condition Monitoring (CM), Predictive Maintenance (PdM) and Condition Based Maintenance (CBM) are other terms used to describe this process. Condition monitoring or CBM (Condition Based Monitoring ) is an effective form of predictive maintenance (PdM) where, as you may have guessed, you monitor the condition of specific areas of plant and equipment. This can be done automatically with the use of instrumentation such as machinery vibration analysis and thermal imaging equipment or manually. In automatic CBM when any monitored and predefined condition limit is exceeded, a signal or output is turned on. This output can be sent directly to a CMMS so that a work order is generated automatically. This is particularly suited to continuous process plants where plant failure and downtime can be extremely costly. Condition monitoring searches on Google normally place this site at the top of the results. 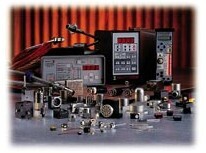 Contact us if you would like to place your condition monitoring company ad here. Machine condition monitoring can be applied to many conditions. Condition monitoring of temperature, analysis of machine vibration, over voltage or current and liquid level are the most common. In effect any condition that can be detected by a sensor can be monitored. We all use condition monitoring in our cars, where the oil pressure warning light illuminates to let you know that you need oil. There are also cruder but nevertheless effective forms of condition based monitoring including the use of the human senses, where the condition is monitored by routine inspection.This may be a visual inspection, a test using a portable instrument or even listening to a bearing by holding a screwdriver against a bearing housing and pressing it to your ear, which was the forerunner of the modern and portable vibration analysis equipment that is now readily available. Early failure of machinery can often be detected using condition monitoring techniques. Vibration analysis is the most commonly used technology used to monitor this. 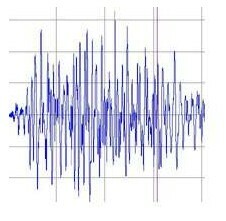 The frequency of the vibrations can also be mapped since certain frequencies will only be present when conditions that indicate an impending defect are present. Comparison of the vibration spectra of new equipment versus equipment that has been used will provide the information required to make a decision when maintenance intervention is required. There are many obvious applications for this but I recently heard of one rather different situation. It was in a very cold country and there was a large air intake fan that had suffered a sudden bearing failure. This was despite regular inspections. An investigation revealed that the fan had been off for a while and a significant amount of ice had formed at the bottom of the impeller blades. When the fan was turned on it created a serious imbalance and subsequent failure. Solution? Fix it and install a vibration limit switch. Join the CBM and vibration analysis Forum at Vibetalk. Condition Monitoring using IR thermography provides a quick and safe way of detecting problems in many different situations. Modern infrared cameras can be used to detect increases in temperature that indicate potential problems. These may include increases the temperature of electrical contacts or insulation. Being non-contact, infrared thermography provides a condition monitoring technique that can be often be safely carried out while equipment is running reducing the requirement for PM outage. Near to perfect alignment of the shafts of rotating equipment is very important on high speed rotating equipment where misalignment can cause expensive equipment failure. Laser shaft alignment provides the most accurate method of this type of condition monitoring. 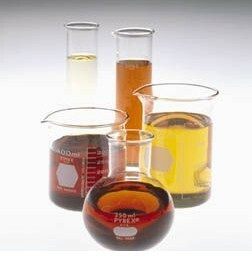 Condition monitoring through oil analysis provides a means of detecting the presence of contamination in oil. This contamination can be caused by many things such as water and particles of other mineral or vegetable matter. One such example of condition monitoring by oil analysis is where the condition of the oil in oil circuit breakers and electrical transformers is monitored for the presence of several substances including the carbon deposits that can be created by under load switching.